As Uy took the stage, the rest stood at attention, ready to assist. Donning a red baseball cap, computer scientist Issa Tingzon later showcased introductory exercises on finding correlations to help machines make predictions. Meanwhile, Clau Yagyagan and Marylette Roa assisted individually. Roa, in particular, who had never fancied herself a skilled communicator, navigated all corners of the room helping participants stay on the same page and resolving their coding errors with well-placed suggestions. Roa, who works as a bioinformatician at the UP Marine Sciences Institute (UP MSI), says that what binds their group of experts together is a commitment to education and empowerment. As with fellow UP-trained researchers Uy and Tingzon, she is a member of Women Who Code Manila, the local network of a global community dedicated to inspire women to excel in technology careers. Through study groups, panel discussions, and other events, members of the group provide a space for women (and men, as well) to develop their skills and connect with current and aspiring coders across the country. The shift from working strictly as a scientist to also being a part-time mentor was an opportunity that Roa fully embraced. Her path towards that role, however, while rewarding, was a journey in itself. 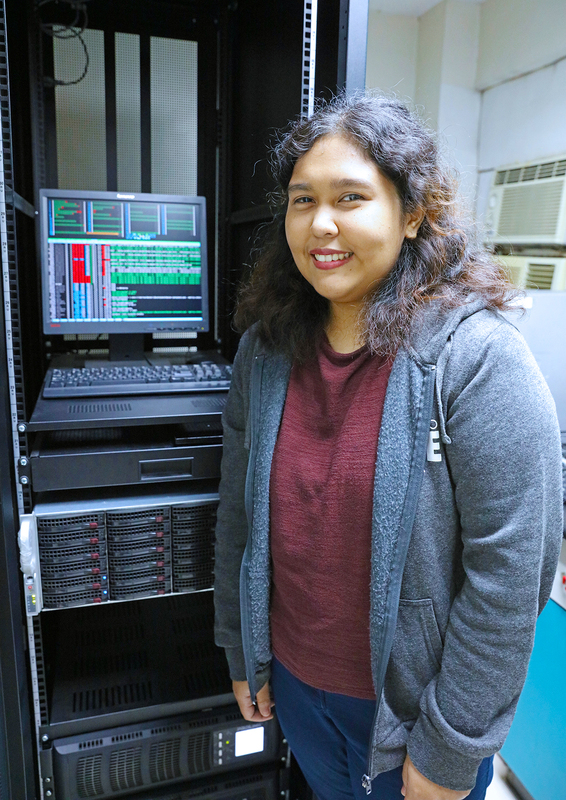 After graduating from the UP National Institute for Molecular Biology and Biotechnology (UP NIMBB), Roa had her first professional coding stint as a pioneer member of the Philippine Genome Center’s (PGC) Core Facility for Bioinformatics, where Uy also was. “I just wanted to try it,” Roa says, who did disproportionately more “wet” laboratory work as an undergraduate compared to the data analysis that would become her forte. This post, in contrast, explicitly required her to use computer science and statistical techniques to solve biological problems. It was at the PGC that Roa would work under her mentor, the molecular geneticist and bioinformatician, Arturo Lluisma. It was Lluisma, she says , who decided that the group would use the programming language Python—the language she would soon be teaching. During their capacity-building phase, which began in 2012, the young scientists both trained as well as trained themselves in the tools to analyze genomics data. Mingled in with this scientific training were more practical skills, such as server administration and talking to clients, which would likewise slot into Roa’s future mentoring toolkit. While her skills in coding grew at the PGC and in a brief stint at the Research Institute for Tropical Medicine (RITM), Roa did not yet arrive at her vocation as a mentor. What led her towards the coding community even before officially transferring to Lluisma’s MSI laboratory in 2017 was a desire that many women in technical fields likely experience—to have other women to talk to. All of this changed in 2016. 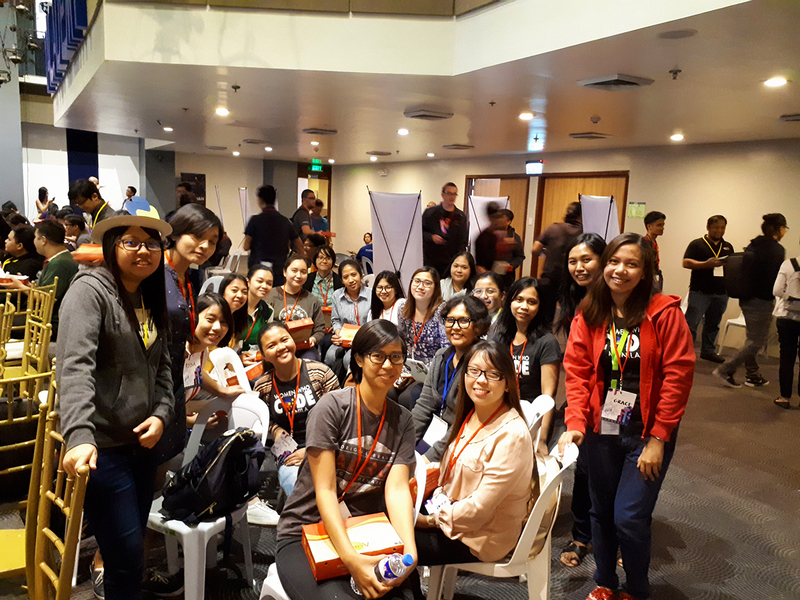 While giving a bioinformatics workshop in Cebu for the PGC, both Roa and Uy also took the opportunity to attend that year’s PyCon Philippines being held in the city. The event, which is a non-profit conference bringing together users and fans of the Python programming language, providentially featured ‘Diversity’ as its theme that year. 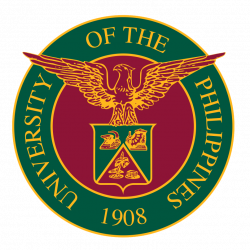 Throwing caution to the wind, both Roa and Uy submitted a proposal to talk at the conference. For the first time since becoming colleagues, the academic pair talked genes and double helices to a large group of software engineers, programming enthusiasts and start-up founders. The conference brought both Roa and Uy together with other female coders and technology leaders. Becoming permanent fixtures in that community, however, came a little later for both. 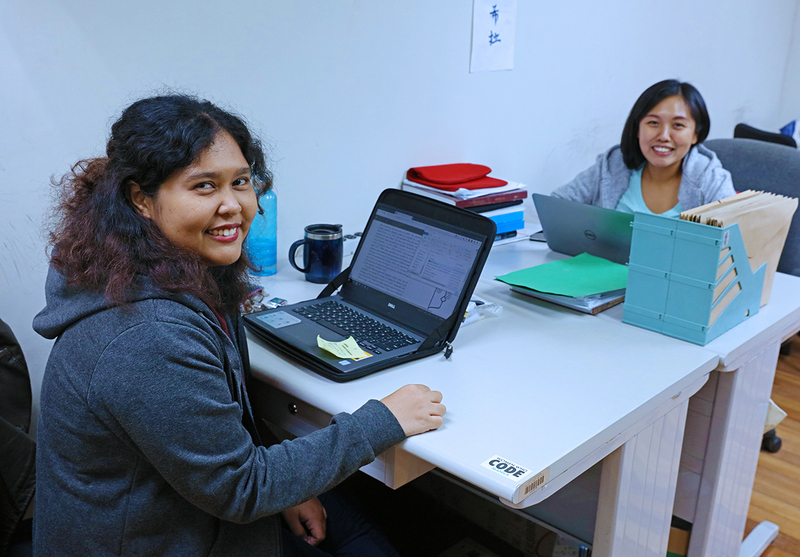 For Roa, it was seeing an advertisement of Women Who Code Manila on TV, founded in 2017 by Director Michie Ang and Anj Cerbolles, that made her take the plunge and permanently join in on the fun. Roa’s initial motivation for joining the group was to have someone push her to practice coding consistently. After all, compared to those who develop software full-time, she was only required to do serious coding in the presence of genomic data sets. As a study group participant, however, she found herself gravitating towards helping beginners find their legs. That was when the suggestion came—why not become a mentor? Her journey as a mentor has certainly led her to encounter learners of all sorts. “Some of them are veteran developers who just want to switch languages,” she says. Others are still students, whom Roa particularly enjoys teaching for their enthusiasm and potential. Others still are complete beginners who want to get their feet wet in a friendly coding environment.